This Kid's Clothes Week has encouraged me to try new things. In the past, I have avoided sewing pants or shorts with an attached waistband. 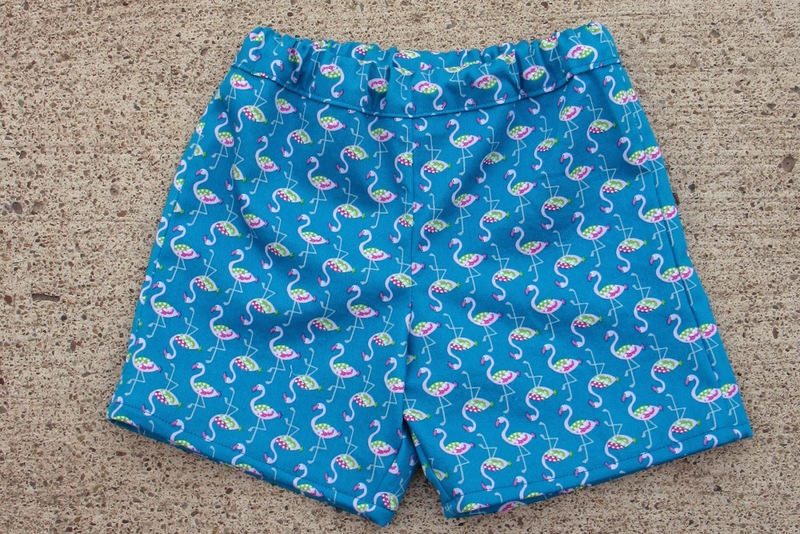 I saw some really fabulous Oliver + S Sunny Day Shorts pop up in the KCW finished projects, you can check them out at the Oliver's Fancy Blog. Aren't they great? I decided to give the waistband a try. Next time I make them I think I will try the pockets.